Lumps in the throat that you can feel with your fingers from the outside of your neck can mean anything from a swollen lymph node to a thyroid cyst or a tumor. 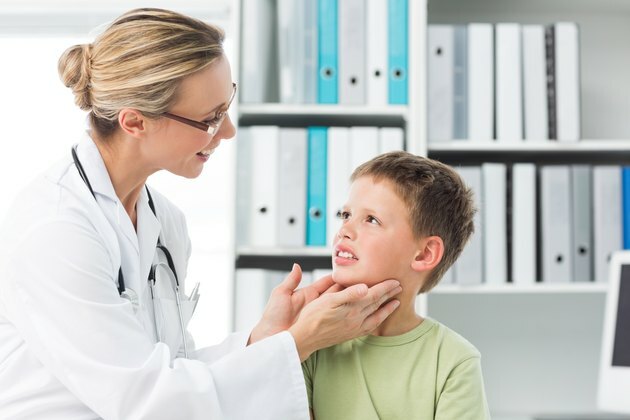 A lump on the inside of the throat that you cannot feel with you fingers could signify a pustule on the tonsils, a vocal cord polyp, or simply a lump-like sensation that has been caused by emotional turmoil. If the lump is well-defined, can be pushed back and forth on the side of the neck and is palpable just under the skin, it is most likely a lymph node and associated with an infectious problem. Viruses like herpes often cause lymph nodes in the neck to swell and become painful. If the cause of type of lump is not obvious, see a physician for evaluation.